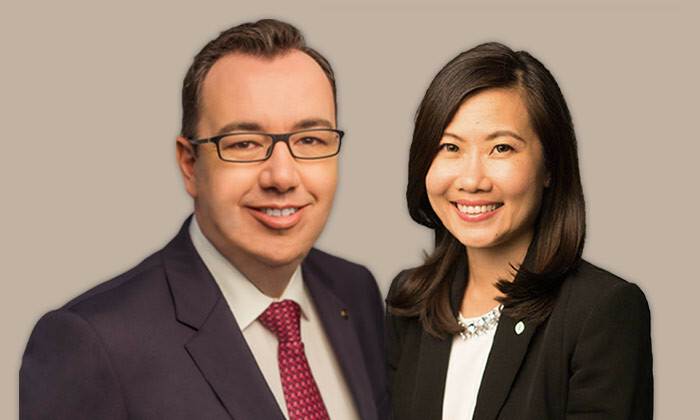 InterContinental Singapore Robertson Quay has appointed Mark Winterton (pictured left) as general manager and Jessica Koh (pictured right) as director of sales and marketing, for its launch on September 2017. The new 225-guestroom luxury hotel is the second InterContinental property under the management of InterContinental Hotels Group (IHG) in Singapore. In her new role, Koh will leverage on her industry knowledge to develop and execute sales and marketing plans, as well as train the sales, marketing and revenue teams. She will be reporting to Winterton. Koh has over 14 years of experience in luxury hotel openings and has been with IHG for eight years, during which she successfully oversaw sales activities for properties in Malaysia and Vietnam. “Following the recent transformation of Robertson Quay, I foresee potential for further growth in the precinct and look forward to delivering a brand new luxury stay experience within the residential community. Our new offerings will ensure that InterContinental Singapore Robertson Quay is well-poised to enter the competitive luxury market,” Koh said. As general manager, Winterton will be in-charge of positioning the new property as the “next generation” of the InterContinental brand and will lead the hotel launch. He will be reporting to Michael Martin, regional general manager, InterContinental Hotels Group, Singapore, Malaysia and Batam. Winterton has over 20 years of international experience launching luxury hotels, re-positioning existing brands and spearheading innovation for successful properties worldwide. He began his career with IHG in 1995 and took on the role as general manager for the launch of Crowne Plaza Changi Airport in Singapore. In the same capacity, Winterton moved to Bangkok in 2010 and rebranded the Crowne Plaza Bangkok Lumpini Park. “The hotel is well-placed in a precinct that is home to an exciting residential and lifestyle hub, and I look forward to working alongside the team to introduce the hotel and dining offerings to both our residents and the community as we seek to establish our presence in the quay” he said. Winterton was appointed in 2015 to establish the pre-opening team for the new property. VIM & VIGOUR PR is the PR agency for InterContinental Singapore Robertson Quay. Who are Malaysia’s social gamers? Of over 4.25 million social gamers in Malaysia, more than half are aged 25 to 54 and half of them spend more than RM100 a week on ..